From time to time an artist appears on the silver screen who simply defies conventional classifications and steals one’s heart in a way only a consummate performer can do. Unlike many of today’s young starlets whose appeal lies mainly with the baser instincts of animal desire, the true actress can elicit a passion from her viewer that goes much deeper than the merely physical or emotional. Though one cannot deny that Paula Prentiss is indeed a beautiful woman, she is — and she projects through her characters — much, much more. An actress who has remained largely unsung (witness the fact that this is the first web site devoted to her life and work), Paula Prentiss has accomplished much in her 30-plus years on screen and stage and helped paved the way for many of today’s most notable female roles. My own appreciation of her work began when I first saw her in the role of Abigail Page in Howard Hawks’ Man’s Favorite Sport? A film that many consider worthy of little more than its occasional late-night television runs of today, it remains one of my personal favorites, having captured the innocence of an era long gone and of which we can now but dream. 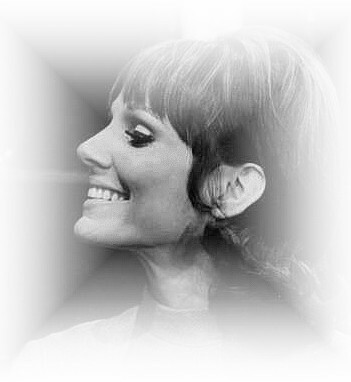 Yet Abigail Page, like Paula Prentiss herself, did not simply reflect a nostalgic period for today’s generation; she was in many respects — subtly, perhaps — well ahead of her time and in essence bridged the gap between those bygone days of the stay-at-home mom and today’s professional woman. We trust you will enjoy this small tribute we have put together for one of America’s most gifted actresses, wives, and mothers. For unlike so many of her colleagues, Paula Prentiss has managed to succeed not simply on stage, but also, and more significantly, in life. and John Craton of the United States. that would help us improve this site. Thanks for visiting!